There are many reasons to rent a climate-controlled unit in Burnsville, Minnesota. The average rainfall is 32 inches per year and the winter months often bring sub-zero temperatures. Extreme humidity and cold can damage temperature-sensitive household articles such as photos, electronics, upholstered furniture, artwork, and more. At Metro Self Storage, we believe in offering our customers the advantage of modern and well-maintained storage facilities and hometown customer service second to none. 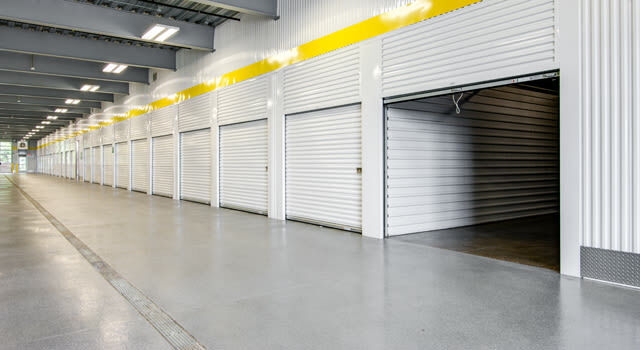 Our newest climate-controlled storage facility features a great selection of unit sizes and prices and is designed to meet all of your personal, household, and businesses storage needs. WHAT SHOULD I STORE IN A CLIMATE CONTROLLED STORAGE UNIT? We invite you to call Metro Self Storage with your questions about renting a climate-controlled storage unit or to reserve your unit online. Now is the right time to choose from a wide selection of drive-up exterior units or indoor climate-controlled units in Burnsville.